Sheffield’s King Mojo Club is best-known as the mod hangout (and live venue) owned and run by Peter Stringfellow and his brother Geoff). But a new book on the club takes a look at it for a different reason – its art. 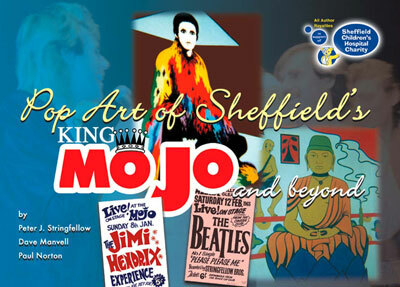 The Pop Art of Sheffield’s King Mojo is produced by Peter Stringfellow and artists Dave Marvell and Paul Norton, with all author proceeds from the book being donated to the Sheffield Children’s Hospital Charity. It looks at the ‘pop art’ on display on the club walls over the years, as well as offering a view of the posters, adverts and membership cards from the club and other local artwork of the era – from The Ark Club, Broadway, The Penthouse, Chesterfield’s Victoria Ballroom and even the C&A shop.